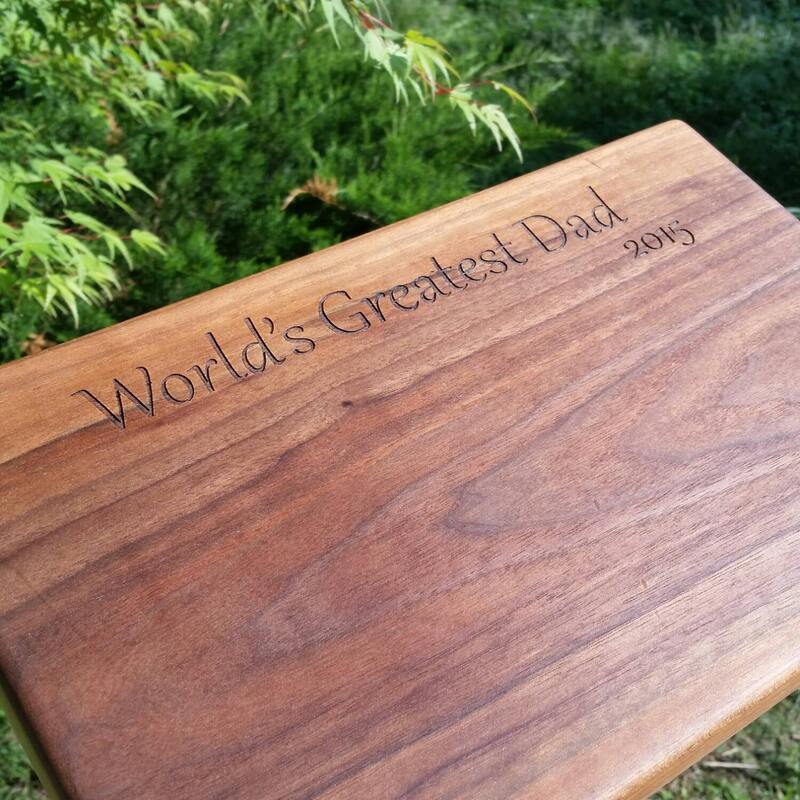 This beautiful black walnut cutting board engraved with World's Greatest Dad and the year will make the absolute perfect gift for the chef in your life! Our beautifully crafted and engraved serving board is crafted by us from solid wood. Black walnuts custom size 20 x 8.5 x 1.5 inch. Custom engraved as per our discussion. Lead time 10 -14 business days.